The sun is out (finally), Brighton festival is starting and hopefully you may be thinking of visiting us by the seaside. 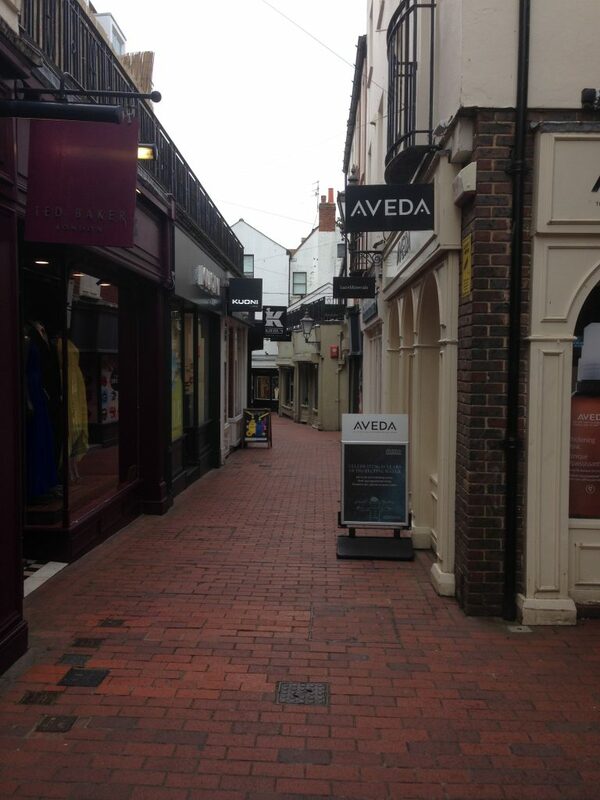 However, Brighton’s lanes are tricky to navigate. They seem to move about when you’re not looking, and if you find a shop you love, chances are you won’t find it in the same place again when you next look. So I thought it might be useful to look at beauty shopping in Brighton, with the aim of helping you track down some top treats and avoid getting hopelessly lost in the process. 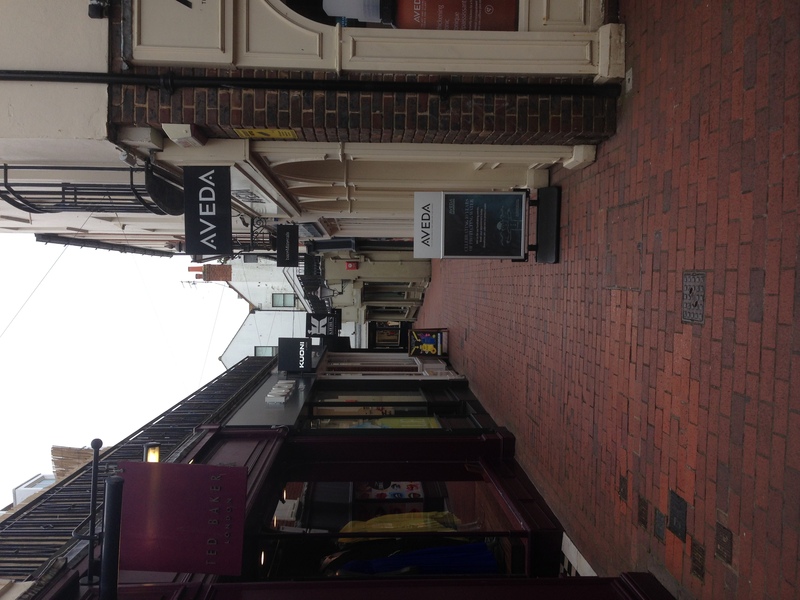 Ultimately, there’s one place in Brighton you need to head for – Duke’s Lane; home to brands including Kiehl’s, Shu Umera, Jo Malone, Aveda and more. Until recently Mac was there too, but they’ve now moved round the corner to East Street. Starting at Brighton station, walk straight out of the station and down the road ahead of you for around 5 minutes-ish. Eventually you’ll find yourself with a large branch of Boots on your left and a clock tower on your right. If you’re making a day of it, you might want to do a detour in there, where they have every beauty brand you could name. Or across the road beyond the clock tower on your right, you’ll see Churchill Square which houses many shops including a medium-sized Superdrug and one of the newer stores from Italian cosmetics brand Kiko. Otherwise, cross the road and crack on. Turn left at the Nationwide into Duke Street AKA chocolate alley. This is where you can fortify yourself with goodies from Montezumas and Hotel Du Chocolat. In my experience, Montezumas are more generous with the chocolate samples, and Hotel du Chocolat really are missing a trick there. On Duke Street you will also pass Match Nails, who I reviewed last year, a good place to sharpen your claws for the shopping to come. Take the first right down Middle Street and within a few steps you’ll see Dukes Lane on your left, which you will recognise by a large branch of Oasis parked on the corner. Brace your credit card, take a deep breath and plunge right in. 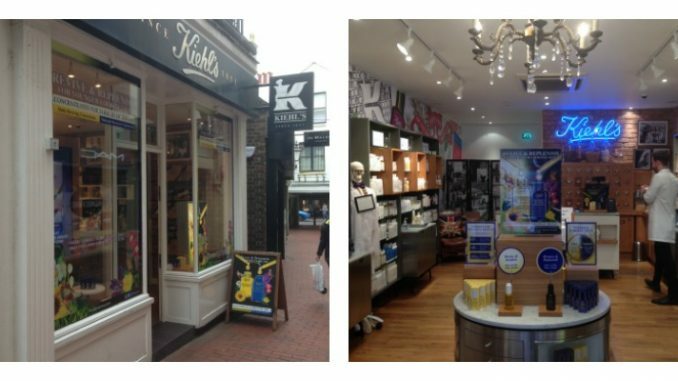 I was there last week to visit one of my favourite brands, Kiehl’s, as the New York company are about to celebrate their 7th birthday in Duke’s Lane. 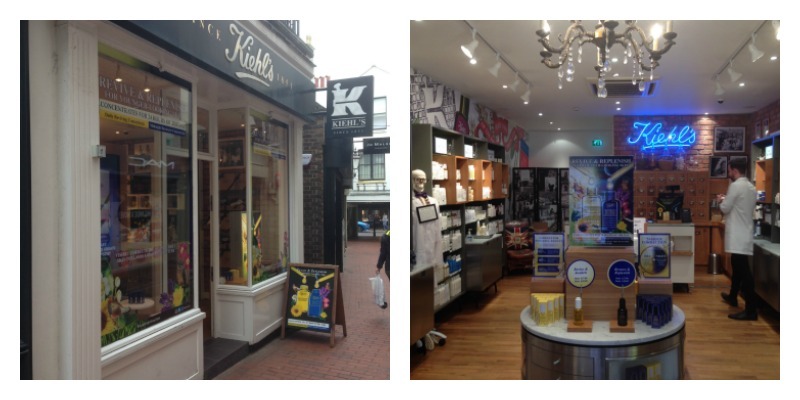 In the next post I’ll tell you a bit more about what I discovered there, and what’s new on the Kiehl’s shelves. Where are your favourite shops in Brighton? What would you add to this itinerary?